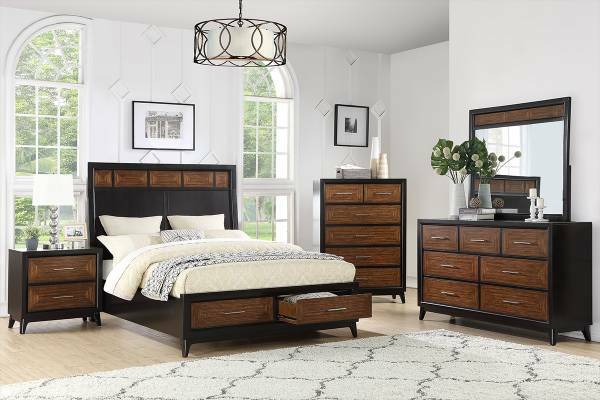 This bedrom set featuring a silver luxurious faux-leather with button tufting, mirror accents with two storage drawers and large scale are all key features of this stunning beds. 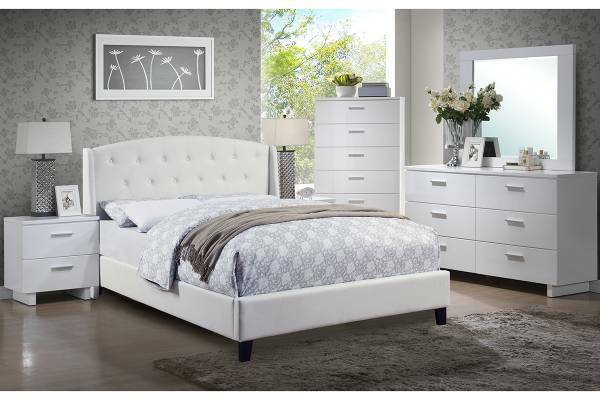 Add glam to any bedroom with this design. 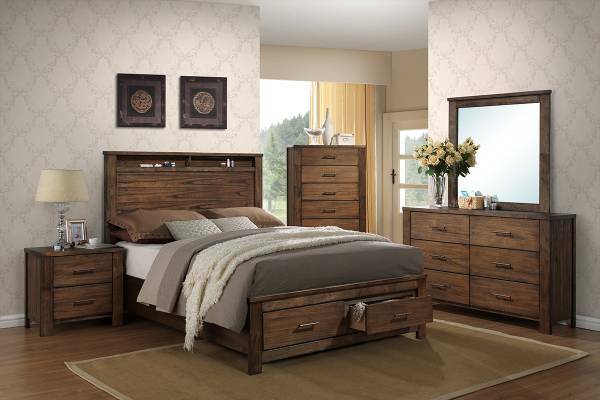 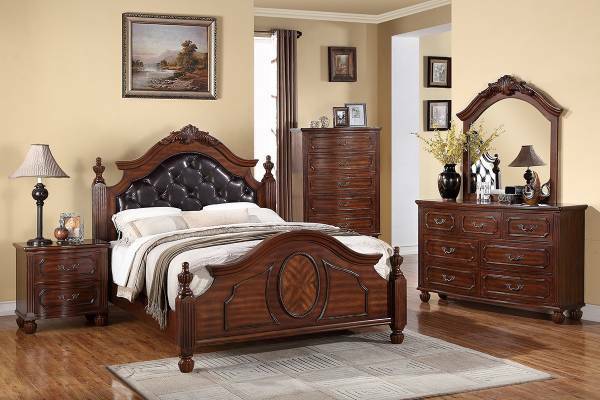 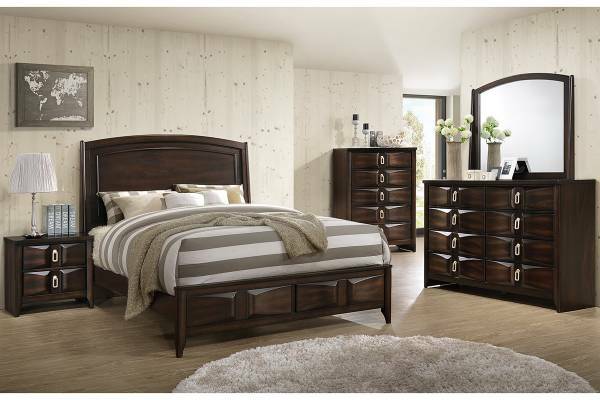 The set includeds optional Queen/CA king/E.King bed frame, nightstand, chest, dresser and mirror.